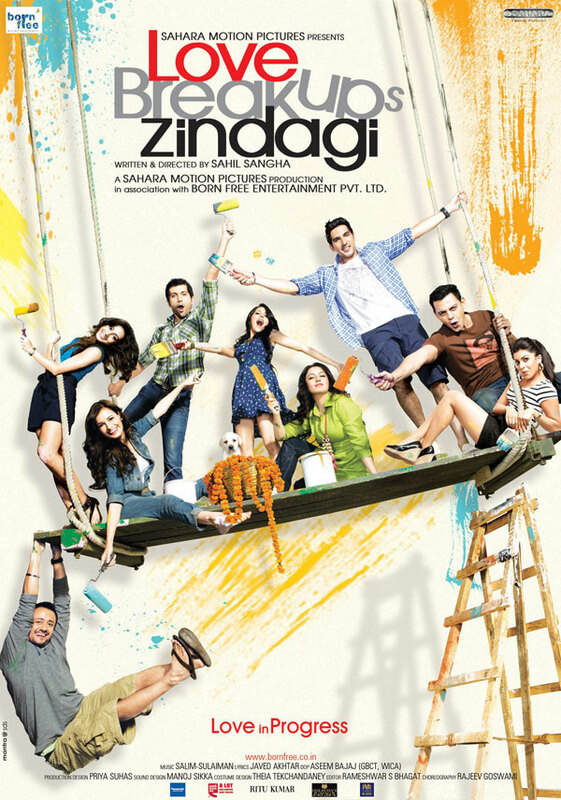 Directed By Sahil Sangha and starring Zayed Khan, Dia Mirza, Cyrus Sahukar, Umang Jain, Tisca Chopra, Satyadeep Misra, Auritra Ghosh, Pallavi Sharda, Vaibhav Talwar the film Love BreakUps Zindagi is a look at well… love and life. The film is an exploration that asks if opposites attract or repel? Is love an option or a choice? Written and directed by Sahil Sangha, tuned by Salim Sulaiman and with lyrical inputs by Javed Akhtar, the film takes us into the baffling core of modern relationships. For instance, Jai (Zayed Khan) and Naina (Dia Mirza) are almost “settled” in their life but missing something or someone who will complete them. Jai feels that magic and serendipity have passed him by. Naina has taught herself that a less than fulfilling life is enough for her. But is it? Watch these characters as they find personal truths, shed illusions, laugh, cry, grow up and learn the biggest lesson of all. That even if you don’t go looking for love, it will come looking for you. Let’s learn more about the characters! Auritra Ghosh, portrays a character who’s enthusiasm and sheer spirit of being is enough to inspire joy in the lives of others around her. Her eyes speak a million words, and those close to her understand every one of them. Satyadeep Misra’s character is one of a man who has found a way to happiness that others can only be envious off. The groom to be is set to embark on a personal journey with the woman of his dreams and reality! Tisca Chopra, plays a character that embodies grace and poise. She effortlessly carries a beautiful aura to her immediate surroundings, leaving one and all mesmerized by her disposition. Umang Jain plays a girl who is helplessly in love with the idea of being in love. In tune with the dilemma that most young girls her age face, Umang struggles to choose between the real reasons that manage to keep a relationship on track. After living a sheltered life in a conservative Gujarati household, Cyrus Sahukar plays a young man who has fought hard for his new found independence. His journey travels through a life he always wanted, and towards an opportunity that would give him more than he ever imagined. Dia Mirza, plays a free spirited photographer, whose life seems to have found the perfect balance. A chance encounter, forces her to discover a life that she once new all too well. Once again she must find a new balance, whilst maintaining the integrity of relationships that surround her. 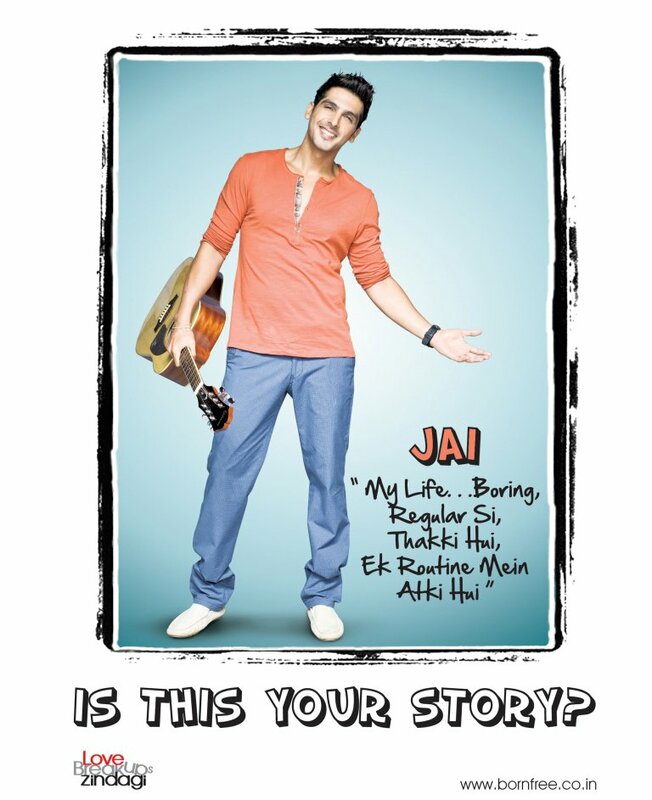 Chained to the routine of his daily life, Zayed Khan plays a young exec searching for a breath of fresh air. He is soon to discover love! Only to realize that sometimes, it comes along in the most unexpected ways and at the most unexpected time. Pallavi Sharda plays the role of a girl who understands life in 3 simple stages. Planning, Execution and Delivery. Her life revolves around a perfect plan that has been set in perfect motion, until the unpredictability of reality strikes. Vaibhav Talwar plays the role of a young man who thinks of the financial markets as his playground. Driven by ambition, he is solid, dependable and endearing as he finds himself to be the pillar of strength to the lives that surround him. 17 queries in 1.276 seconds.